Hooked on Needles: Huge Fall Give-Away - Don't be left out! This giveaway is now closed. Thanks to all who entered. To see who the winner is, click HERE. Have you noticed the dapper fellow over there on my sidebar hanging out with that cute little Angel? He's the Fall into Fall Quilter's Giveaway Scarecrow! You'll find him on lots of different sites where you can sign up for some really super fall/quilt themed giveaways. But you have to hurry because October 14 is the end of all this fall fun. This is the Pincushion Bag and Needle Book that I made from the kit I purchased from Connecting Threads recently. I just loved working with the fabric, and the instructions were very easy to follow. This bag is the feature of my giveaway and would be great for anyone who is a quilter or stitcher of any kind. It has little pockets all around the inside and a generously sized pincushion right in the middle. The strings draw up to form a lovely little bag which can hold all your threads, pins, thimbles, scissors, and what-not. Along with the pincushion bag and needle book, I am including a few other Fall goodies for the lucky winner: 5 skeins of fall color DMC embroidery floss, 2 fat quarters in red and yellow, a spool of autumn leaves ribbon, a package of apple buttons, a leaf votive candle holder, a six-pack of cinnamon spice candles and a package of cinnamon apple spice tea. I wish I could also package up the breathtaking fall leaves that I enjoy every time I look out any window of my home, but sad to say, those are only here for a short time so I like to keep them all to myself! All you have to do to be in the running for my giveaway is click at the bottom of this article where it says "Post a comment". In your comment, I would love to know what your favorite thing is about fall, crafty or otherwise. If you are reading this in your email, you must actually get into my website by clicking the article name at the top of the email. If you wish to comment anonymously or if your profile does not have an email account listed, please make sure you include your email address in your comment so I can contact you if you are the winner. When you are finished entering my giveaway, hop over to the Fall into Fall Quilters Giveaway and check out all the other great sites that are having similar giveaways. Enter as many as you like by October 14 and see if you can be a winner this Fall! Oh what lovely goodies. I love that cool crisp nip in the air. That singles Fall is here. It gets me all kinds of tingly. Oh, and of course, pumpkin pie. I love also the colors of changing leaves and all the decorations. what a great assortment to make up a prize/giveaway. You're very generous.... My favorite things about fall are scrumnching the leaves underfoot (you know that wonderful sound they make) and corn roasts. I love the smell of pumpkin pie and apple cider on a cool crisp day. Great prizes that I would love to own. What a fantastic giveaway you have put together! I think my favorite thing about fall are the apples and peaches that are grown locally, they are soooo good. I love the fall foliage, the crisp air, fewer bugs and spiders (! ), not having to mow as much and the coming of the Holidays. Awesome little bag! Favorite part of fall are the colors of the changing leaves.. and hopefully things slowing down. Thanks for the giveaway! WoW!! I love the smell of burning leaves! beautiful giveaway, I love to knit and do all needlework in the fall! Wow, what a wonderful giveaway. I've admired those sewing bags for a while. Love Connecting Threads. I love fall because the weather is pleasant, the colors beautiful and you can sit under a quilt with a cup of coffee and just feel all comfy cozy. I must agree, very nice giveaway! Fall is the best time of the year. Jeans, and sweatshirts, watching my children play soccer on a cool sunny day, and that urge to take out long forgotten crochet and quilting projects. I love the sound of leaves being crunched under foot, the pumpkins, mums and cornstalks decorating the yards and perfect sleeping weather. What a lovely prize, please add my name to your list. I love the idea of getting ready for the winter during fall. It is the time to store the last fruits and veggies of summer. I love the crisp cool air, the beautiful colors, I love being able to pull out all my fall quilts and to see my children snuggle under them near the fireplace. I love it all... and this year I'm loving the giveaways too! What fun! Lovely giveaway! I can smell the cinnamon candles now! Lovely! My favorite thing about fall is the wonderful colors! Which I miss now that I am in Australia. I grew up in Michigan. Is this giveaway world wide? If not, I would like to win this for my sister-in-law, won't she be surprised! Please visit my giveaway, too! My favorite thing about fall is the nice cool air and the beautiful leaves changing. My favorite thing about fall is the changing colors of the leaves! Thank you for entering me in your giveaway! Oooh, what a nice giveaway! Please put my name in the draw, thank you. I love the leaves changing colors and apple picking! What wonderful items in your giveaway, they would all be very happy living with me! The best thing about fall is hiking and bike riding in the cool, crisp New England air filled with breathtaking color. I love the sunny days of fall with crip air of the evenings. Can't forget the beautiful color of our lovely trees. Please enter me in your giveaway. The bag is super. If I don't win, I will probably buy the pattern from Connecting Threads. What a wonderful prize!!!! There are just so many things I love about fall. I guess my favorite would be the leaves changing color. There are so many different shades of the colors and they gradually change so it lasts for a few weeks to enjoy. Great give away!!!! Oh wow, what great goodies and a neat bag! Thanks! I love Fall because I can finally quit sweating from the heat! Seriously! Here's hoping to win in Idaho! Adorable pin cushion - nothing like I have ever seen before. I love everything about fall, apple and pumpkin picking and of course all the baking with those apples. Fun Fun! Please enter me, and come by and see my giveaway! I love baking for fall! The smells of baking bread in the fall is one of my favorites. Add to that the sweet spicy smell of apple butter cooking in the oven - I have a great recipe for oven apple butter - oh it is delightful on a piece of fresh bread, toasted. Love your give-away - hope I win. You have a very nice give away prize. I love the beautiful colors of the turning leaves, pumpkins, and the smells of the crisp, cool mornings. Wow! Great Job with the pincushion bag and needle book! I would so love to have those! My favorite thing about fall (besides wearing sweaters, my favorite clothing item) is the smell of the leaves, the cool air, and "cold weather" foods like chili, hot cider, and candied apples! I love autumn because of the wonderful colours and the fresh air. You have such a wonderful giveaway, please count me in! I love fall because of the cool, crisp weather and PUMPKINS!!! Love them. I love the change in weather - I live in New England and it is so pretty here this time of the year! I love your giveaway, please count me in! i live in tucson now, but when i lived in seattle, i LOVED fall! walking through the leaves in a park or on the street reminded me of my childhood. I also loved when the leaves got wet and stuck on the side of the road, as it always reminded me of soggy cornflakes. I would be very happy if I was to be the owner of the nice Giveaway items. I love autumn because of the wonderful colours, I have birthday in October :-), and the dark evenings are perfect for handicrafts. The best thing about fall-walking in the crisp fall air! I love your pincushion/needle book. I've been wanting to make one for ages and yours is beautiful! Awesome giveaway! My favorite thing about fall is the cooler weather. It is very hot here in southern Nevada! I love fall because I get to see all the birds who spend the winter in Fl, get to take my grandson's trick or treating and having my family at my house for Thanksgiving.. I love fall and all the cooking I do. As the weather cools I want to stay indoors and create new dishes and quilts. My, what a beautiful gift. What I am loving about Fall this year is that I am sleeping under one of my own quilts: a first. I also love the smell of pumpkin pie, cinnamon, and cider. And I used to really love the smell of burning leaves, when we used to be able to burn them. What a great givaway! The very best thing about fall is the cooler temps. I love the smell of the leaves and the pretty colors. You are very talented! I've looked at that pattern on Connecting Threads many times, but am not brave enough to attempt it. My favorite Fall thing is to travel North to visit my family in upstate NY. It's just beautiful this time of year and I so enjoy doing "Fall stuff" with my family! I love everything about fall...colors changing, cooler nights, pumpkins, squash, picking apples, eating chili, Cowboys football, and I LOVE Thanksgiving! Your give away is wonderful--you are very generous! I love fall and Thanksgiving! In fact, Thanksgiving is my favorite holiday! What a tremendous giveaway. You did a beautiful job on it. Why I love fall.... the crisp air, the autumn colors and the wonderful smells. I love many things about fall, and one of the things is more time to spend indoors and quilt! Thanks for hosting this nice give-away. A great giveaway. Thanks. I love the fresh apples right off the tree. Making apple crisp...Delish. There are so many things I love about fall. I love the colors, Halloween, Cider mills, changing leaves. So much about it! I love Starbucks pumpkin lattes! Your giveaway gifts are really lovely. Thank you for the chance to win them. I love giving out Halloween candy; it's so simple but it makes kids so happy. WOW wonderful gift ideas. Fall brings me one season closer to summer. LOL I do love orange and Halloween candy. I posted my giveaway tonight. One of the things I love about fall is that it is the season when all the years work is done. Beautiful days and cool crisp nights that invite one to start a fire in the old wood heater. You have an amazing (and generous) assortment of goodies and I would love to be entered in your drawing! What an awesome and generous giveaway! What I love about fall is the crispness to the air, the colors, the scents, the foods and the ushering in of the holiday season and the quilting season. That time of year when we seem to have more time to sit and stitch! Thank you! I love our annual family fall vacations every October. The smell in the air just smells like vacation time! I'd love to be entered for your giveaway. I love creating for fall. There are so many fun and wonderful patterns and as a newbie quilter, I am having a ball creating new things for my friends and family. What a neat giveaway! That bag would be perfect to take to guild meetings. My favorite thing about Fall is the changing colors of the leaves. Such beauty! Thanks for entering me into your giveaway! I love fall because the air is cool and crisp and the colors of the trees are gorgeous. I even enjoy the smell of burning leaves. I love watching college football, making homemade applesauce, baking pumpkin pies, carving pumpkins, I just love it all! What a generous giveaway. Your bag and pin cushion are just beautiful! I love the fabric, it must have been so much fun to work with. Don't you just love how some fabrics make you feel, how they run through your fingers and your machine?! My favorite thing about fall is my whirlwind creative period making gifts for Christmas and stashing them away. I love touching something and putting all of this wonderful loving energy into each piece as I create it for someone that I love. Imagining their faces as they open the gift, and knowing that I made it myself is so special to me! Thank you so much for including me in your generous giveaway! What a generous giveaway! Your bag is wonderful. My favorite thing about fall is those cool evenings with a large hooped quilt on my lap keeping me warm and a needle in my hand! favorite part of Fall are the leaves changing colors and the feelings looking forward to the upcoming holidays. My favorite part of fall is the cooler weather. Its like a wonderful relief from the summer heat. I also love the fall harvest: apples, squash, etc. What a beautiful pincushion/bag! I would love to win this! My favorite things about fall are hayrides, pumpkin picking, cider & donuts. All done while spending time with my family. It's a great time to draw together as a family after the hectic, going 10 different directions, summertime. I Just love what you are offering for your giveaway. The little bag is gorgeous. Well I'm from Australia so fall is very different. We do have a fireplace though if that counts, and where I was born it does get to 2 degrees.I'd love to go in the draw.Thanks Deb. What I love about crafting is that it keeps me sane, makes me happy and makes me feel a sense of accomplishment. I love that I can make things for others which contain a part of me and my love for them instead of something store bought and easily worn out. I love cooking in the oven during the fall to warm up the house plus get more time for quilting! The thing I love about fall is the way I feel energized to create as it gets colder. I don't know why, I just get the itch to make and sew and knit and paint when fall comes. I love fall for the wonderful colours that nature presents us with each year!! Every year I try to decorate as much as is possible of my house with those colours :) I would love to be entered if I'm eligible (I'm from Canada), thank you! Three favorite things about fall: pumpkin pie, apple dumplings and low humidity! Thanks for entering my FALL INTO FALL "I Want Candy! giveaway. I love all the wonderful warm colors of fall. I love the turning of the leaves. Here in the midwest, they turn awesome hues! Also love the chilly nites and cooler days--gets me to thinking about hot apple cider (another fav)! This is an awesome give-away. I love the colors, sweet potatoes, apples and the crisporning air...m..
What a wonderful selection of goodies you’re giving away! That bag is especially darling! Thank you for sharing your talent with us. 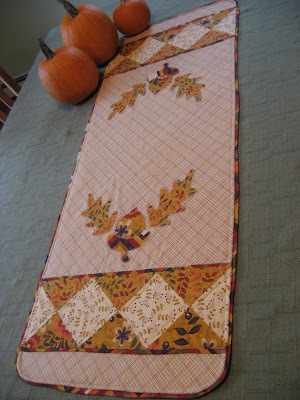 I'm a quilter and I LOVE working with autumn-themed fabrics, which are so abundant this time of year. The rusts and golds, deep greens and reds - it's all so luscious! Wow.. what a generous giveaway!!! We dont really have 'fall' here in Australia, but what I do like about autumn is cooler weather!!! I find autumn is also the perfect time for binding, I dont 'do' binding usually over summer, its too darn hot! I love all the colours of your cottons. I enjoy the cooler weather and being able to work on larger quilts without getting hot and bothered. I love the warm days and chilly evenings. Perfect for cuddling around a camp fire and toasting marshmallows and sipping hot cider! I love the falling leaves, so lovely in repose. Thank you for your generosity!! What a generous giveaway. I love the smell of apple pie baking and the feel of the warm cozy quilt on my bed. I love pumpkin carving ... and choosing the crafts projects to start for xmas ! Wow, what a great prize you have, hope I win. I love the colors, the warm fireplace, and doing hand binding on a warm quilt. You are so generous! This is a great gift. My favorite thing about fall is that the garden is slowing down and I will get some rest. What a beautiful giveaway! I would love to be included in your draw. My favourtie thing about Fall and my chosen craft is waiting to see the new pumpkin and autumn design charts that come out. My favorite thing about Fall is the weather in Texas turning from 100 degrees to 80 degrees. The night breezes start in October and I know then that the holidays are right around the corner. i love to bake! especially apple pies and peach cobblers. and sip on apple cider. My favorite thing about fall is the great smells indoors and outdoors. Love your handmade giveaway. I love fall for the colors. I love to make handmade items to make that person feel special and to add a smile to their face. Thanks for a chance. Pin cushion is so pretty. Fall family celebration of son's birthday and our anniversary is my favorite time. What an abundance of items in your giveaway! I would feel very lucky to win even one of the items. My favorite thing about fall is...well everything! It really is my favorite time of year. I love the cool crisp nights, the leaves changing, and of course my anniversary which falls on October 13! The best thing about fall to me is the leaves changing here in Michigan. Nothing more beautiful. Oh and the trip to the Apple Orchard for cider and donuts. Yummm! Such wonderful prizes!!!! I just love everything about Fall!!! It is my favorite time of year!! I love the cool weather in Fall. My favorite thing about fall is the beauty of the changing leaves. I see you have another Myra that has commented! Cool! Please enter me into your give-a-way. I love the rich colors of Fall most of all. What I like best about fall are all the beautiful colors that abound! What a great giveaway! Thanks for entering me. I love everything about fall....but I especially love pumpkins and carmel apples and all the yummy smells! Oh, my....what WONDERFUL prizes you have for the giveaway. That pincushion bag is amazing. I've not seen that before. I hope I win! OH...forgot to add that my favorite thing about fall is THANKSGIVING....the food and the chance for family to get together and be thankful for each other and what they have. Hi. You realy giveaway lots of great goodies. Hope i'm the luckey one. Hugs. Fall means time for caramel apples--my fav! My favorite thing about fall is all the beautiful colors and the snow on the mountains (where we hope it stays). My favorite thing abot fall is getting a headstart on my Christmas projects. What fun prizes! What I love about fall are pumpkins and all the beautiful leaves. We dont have fall But at that time of year I like to Crochet or Knit Stay warm Drink Hot Milk And Cinnamon. I love so much about fall - but especially the colours. What a glorious display. My favorite thing about fall is Baking. I love to make cookies, and candy. Along with Banana Nut Bread. What a great giveaway. If I don't win, maybe I'll check out Connecting Threads and have a look at the kit you purchased! Fall - I love that our apples are ready to go to the cider mill and we have LOTS of fresh cider for us and all our friends and family. the aroma of hot spiced cider is unbeatable! I love carving pumpkins with my boys and scooping out pumpkin guts! thanks for the giveaway! I Lovve halloween. Great giveaway. hmmm, to pick just one thing that is my favorite...i would say going to the patch and picking out the perfect pumpkin, which is now even more fun now that i have two wonderful babes! I like the cold and rainy days. 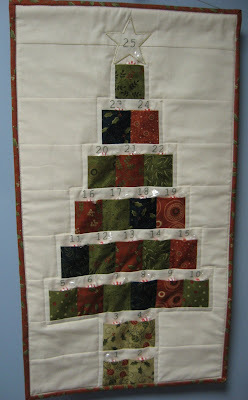 Need no other excuse to stay inside stitching or quilting when it`s cold and rainy outside. I would love to have that bag arrive at my door. It is so cute. Coziness of the fire. I like making hot cocoa mix for those chilly evenings. Also I start taking little craft projects with me to work on to get ahead start on little gifts for christmas. Used to make all kinds of cookies for Christmas gifts. Thank you for doing the give away some very nice gifts. My favorite thing about Fall is all the soups and sandwiches for dinner! There is something special about a stew and french bread that just makes the day!